Young swifts may do special push-ups to shed their baby fat and become aerodynamically perfect before their first flight, a new study suggests. Hummingbirds have a unique memory “so exact that it’s unique among wildlife.” Researchers monitored wild rufous hummingbirds as they visited eight feeders filled with sugar solution. The feeders were refilled at different times, and the hummingbirds were able to recognize the pattern and visit the feeders at the appropriate time. Read the story Hummingbirds sing a precise food tune on the CBC. Pigeons As Bomb Guidance Systems? During World War II, the U.S. Air Force developed a new type of bomb – a glide bomb. 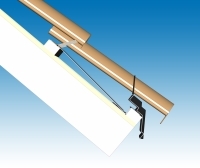 Instead of falling straight on a target, it would instead float at an angle towards its target, guided by a variety of tools. Behaviorist Burrhus Frederic Skinner thought of a brilliant new way to guide these missiles during World War II using pigeons. The common sparrow in the Dutch towns of Noordwijk, Amsterdam, Alkmaar and Hardenberg will soon have more places to call home. A test project on home roofs in these communities will provide housing specially designed for the sparrows, so that they are sure to have nesting area available. In 2005 the wild sparrow took several blows in the Netherlands. Openings in homes and roofs were better sealed. The amount of shrubs in parks, sidewalks and other public places was reduced for security reasons. Sparrows prefer to make their nests in openings in buildings, or in the tight branches of shrubs and bushes. In order to give the sparrow abundant nesting areas in neighborhoods, the roofing firm Comfortdak has designed a special roof tile, the Vogelvide (see photo), which allows sparrows to nest near the foot of the roof. The first unit was placed on a rental house in on the Abraham Rademakerstraat in Noordwijk during a presentation by the bird protection group Vogelbescherming Nederland on Tuesday. In total approximately 100 homes will be fitted with the special tiles. Vogelvide – redding voor huismus? A New York Times Science article on the new species of New Guinea includes a photo slide show featuring the new bird species. Why Are Britain’s Sparrows Vanishing? Britain’s great ornithological mystery of recent years, the vanishing of the familiar house sparrow, may finally be solved. A postgraduate researcher in Leicester conducted a study of sparrow chicks and discovered that their food supply in their first few days of life is critical, and the recent scarcity of protein-rich insects in Britain may be contributing to the sparrow’s demise. Read Michael McCarthy’s story Revealed: why the sparrows are dying out in The Independent. A research team exposed Java Sparrows to English and Chinese translations of two well-known Japanese novels. The birds correctly identified the English recording 75 percent of the time. 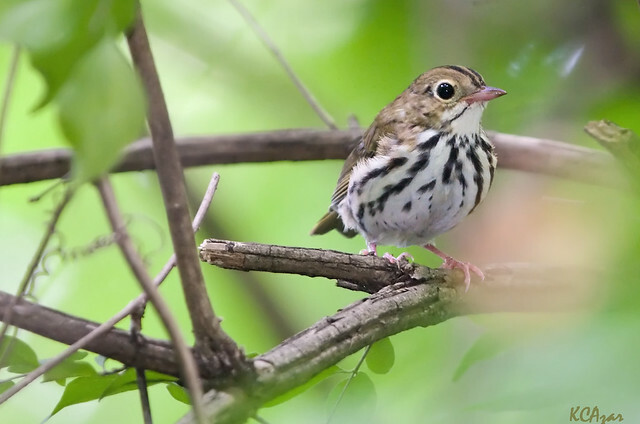 Female ovenbirds are attracted to males of the species who have strong, high-quality mating songs. Biologists say that noise created by industrial oil and gas machinery in Alberta, Canada may be hampering the mating success of the birds. Read the full story Bird songs muted by oil and gas machinery on CBC News.